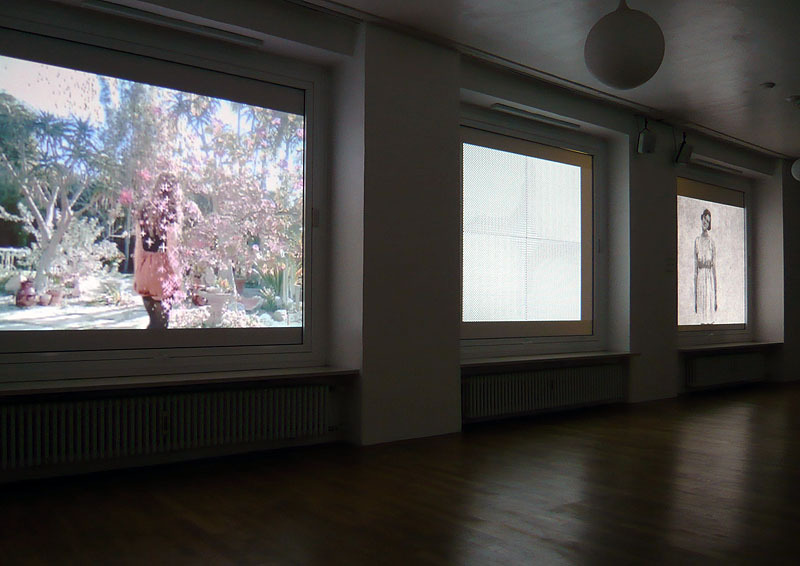 Moving pictures are projected onto the four windows of the exhibition space. 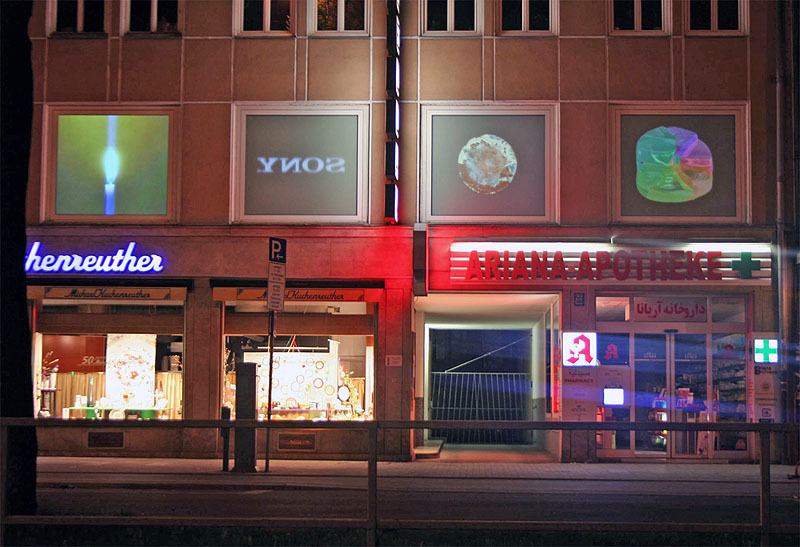 Each of the four channels plays its independent program, assembled from the works of over twenty international artists. The time for each channel to complete its program varies, which leads to ever changing combinations of the artists’ work. 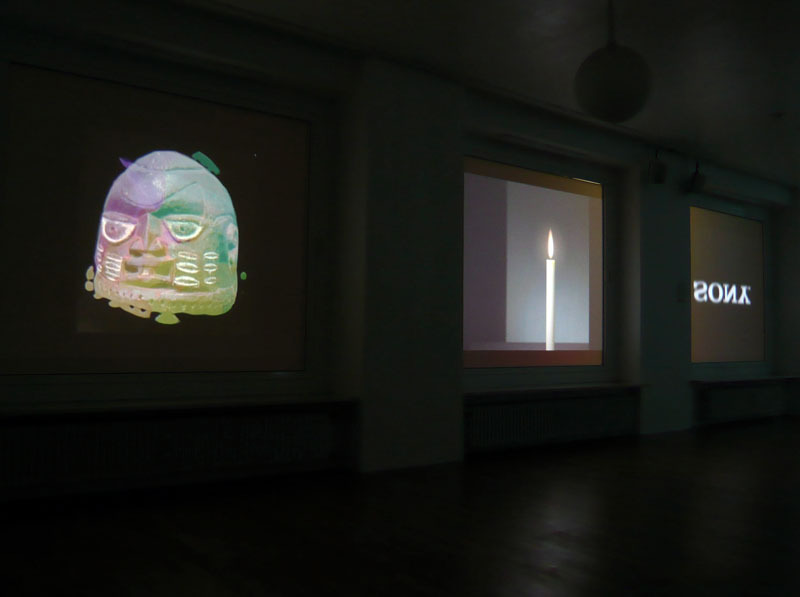 The collective of the projections can be understood as a new autonomous work, which contains a multitude of variations. 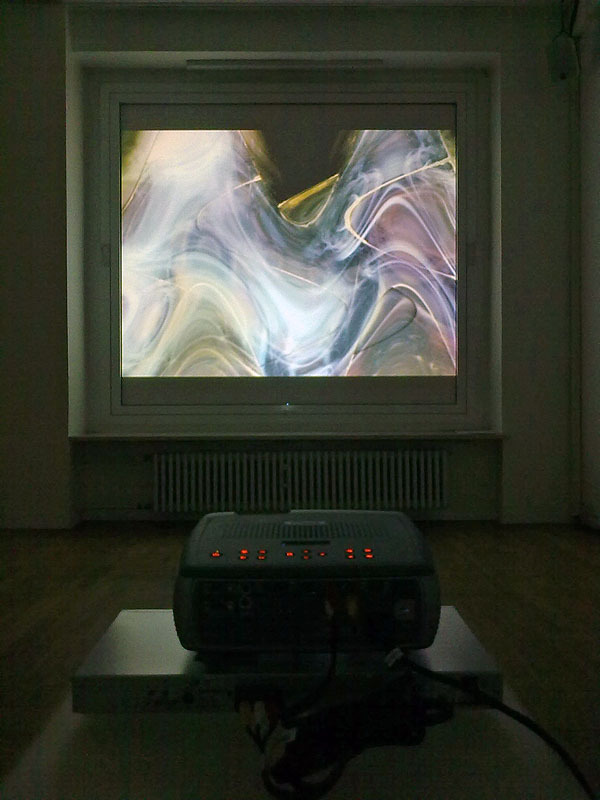 In content the works are related by their sparse movements and reduced narrative elements. By arraying the works in sequence as well as in confrontational positions, the installation develops its own dramaturgy. All works are shown without sound.